Today we headed to the CWHL Game to watch the Toronto Furies take on the Brampton Thunder. Violet’s favourite player, Natalie Spooner plays (Number 24) for the Furies and scored a hattrick. 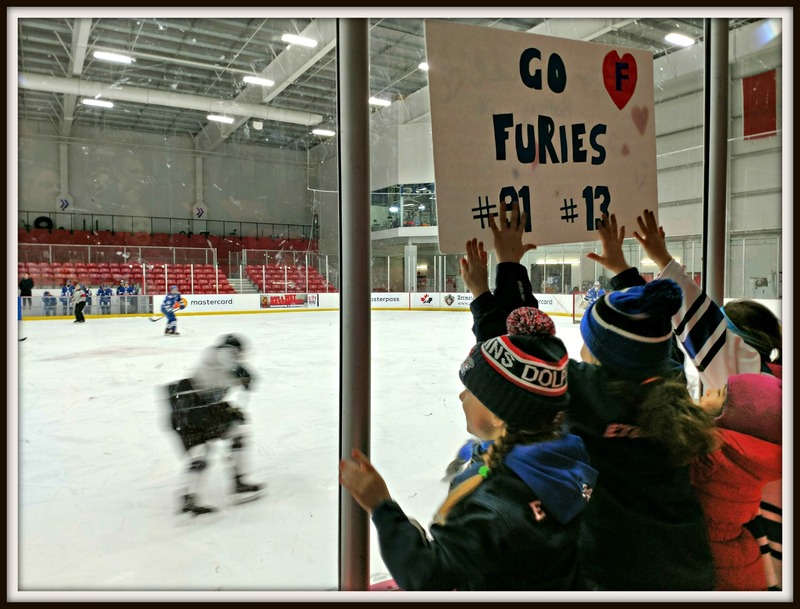 It wasn’t enough for the furries to defeat the Thunder, which was ok for Violet and her teammates because three of the Brampton players coach the girl’s hockey teams, and they came to play. It was a great game, ending 4-3 with Brampton scoring the winner in the final minute of the game.